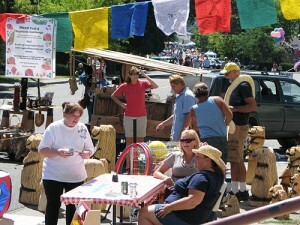 Rollin’ Weed Abner Weed Frontier Days a Success! 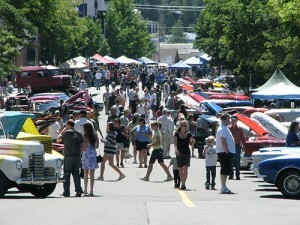 Weed Show and Shine and Abner Weed Frontier Days was a great success this year with over 80 car entrys, numerous motorcycles, loads of vendors, and a first class event! 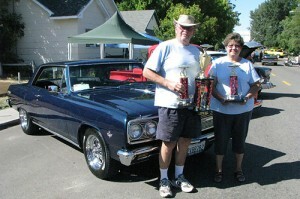 Pete Baker and Coral Baker of Redding hold the trophies they won. 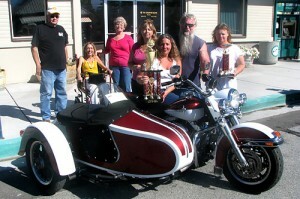 Including best of show, for their entry at Rollin’ Weed Car Show. The entire family involved with Rollin’ Weed’s best motorcycle line up behind the 2000 Harley Road King with side car they all enjoy riding. From the left are Jerry Mustard, Susan Bailey, Donna Mustard, Ruth Kohler, Cynthia Morse, Bruce Morse, and Darla Hough. 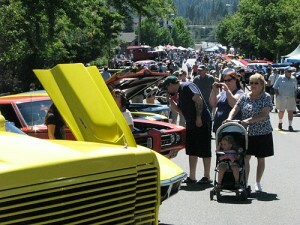 Crowds of people fill downtown Weed on Saturday for Rollin’ Weed, the four venue event taking up all of Main Street. 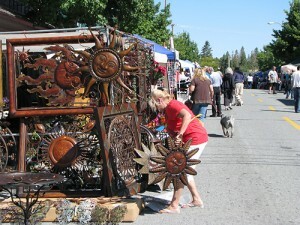 As a collaborative effort of several organizations, visitors to Weed visit the car and motorcycle show, flea market and commercial vendor booths, arts and craft exhibits, a quilt show, and enjoy specialty food. 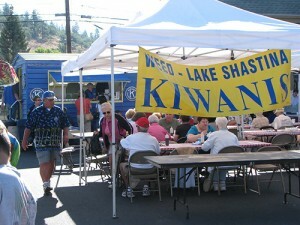 Speciality foods were in abundance for the crowds appetites. Belly Dancers Robyn Vandiver, left, and Kerry Greene, right, both of Lake Shastina, captivate the large crowd at Rollin’ Weed as part of the live entertainment for the event. Good evening, my name is Justin Russotti, from Russotti’s Vending Services and I am a food vendor in Northern California. I specialize in jumbo hot dogs, lemonade, and jumbo soft pretzels. I have been doing this for the last 5 years and was hoping to join you guys for 2010. I have attached a picture and all of my permits, below you will find a link to my website. Let me know what I can do to join your event. Thank you for your time. We will be posting our 2010 applications soon! thanks for the inquiry.